Itching is a sensation on the skin that impels one to continuously rub and scratch. It can either be at one spot of the skin area or dispersed throughout the body. Sometimes skin eruptions, injuries or infections may also occur upon intense scratching. Homeopathic remedies for itching works very well both for the acute as well as the chronic cases of itching. It not only provides relief from itching sensation but also works through the underlying cause to which itching is a symptom. 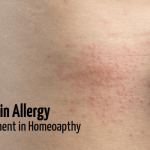 An allergy is caused by the hyperactivity of the immune system, the homeopathic remedies for itching tend to stabilize this hyperactivity itself. Once it stabilizes, you get relief from the symptoms of itching. How Does One Develop Itching? Allergies and their associated symptoms such as itching are manifested due to hypersensitivity of the body against various outside allergens. Though these allergens are not necessarily harmless but may trigger an autoimmune response for some of the people. 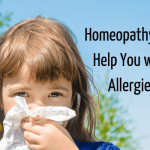 As a result, your immune system may start producing antibodies which although will remain dormant in your body but may become alert again until your next encounter with that allergen. Here, these antibodies start producing a histamine-an immune system chemical that produces outer physical symptoms such as itching. 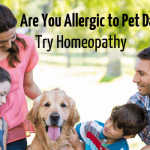 This is where homeopathic remedies work to treat the underlying cause. 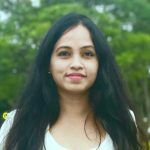 Obviously, there can be other factors unique to your genetic lineage and other possible risk factors which are paid due attention while visiting a homeopath. During your consultation with a homeopath, all these factors are of importance and form the basis of an effective homeopathic treatment. Homeopathy has a personalized treatment for each of these conditions. The remedies are prescribed on your personal analysis. Thereby, here you will be treated as an overall unit rather than for the single symptom of itching. This is done to ensure that you receive an overall well being physically, mentally and emotionally. With over the counter drugs, you will receive only temporary relief with symptoms returning back either in the same form or creating a new symptom by affecting other body organs. 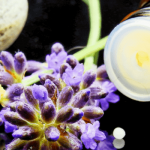 A homeopath studies all minuscule details involved so as to prescribe with the most effective remedies. Homeopathic medicines for itching work through a two-way approach. First, it cures the outside symptoms and minimizes the itching. Secondly, it tries to optimize the hyperactivity of the immune system by raising the immunity itself. Though patients will be required, your itching is cured all naturally without any side effects. We advise taking these medicines only under the supervision of a homeopathic doctor and a genuine homeopathic store in Australia.